Venue to be advised. Lunch provided. For information and to RSVP contact: South East Local Land Services – Bega Office on 02 6491 7806 or andrew.taylor@lls.nsw.gov.au. Numbers are limited. 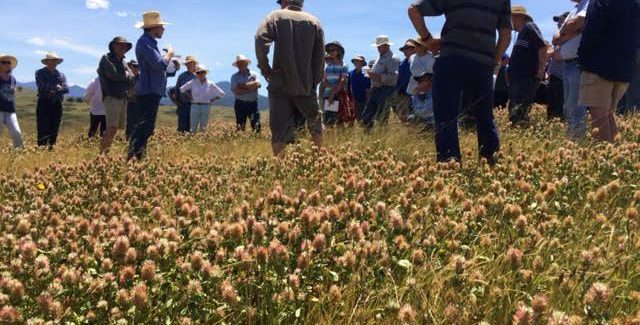 Farmers of the Far South Coast have a challenging time identifying the wide variety of plants they have in their pastures. This presents a number of challenges in managing a farm, such as knowing which plants are beneficial to your enterprise and which aren’t. Jackie Miles (local botanist), Council weeds staff and Local Land Services staff will be in attendance to deliver the workshop. The DPI publications, ‘Grasses of Coastal NSW’ and ‘Legumes and Herbs of Coastal NSW’ will be available at a subsidised price. Get help to deal with financial hardship.